Esa-Pekka Salonen: 10 tips to becoming a conductor. BBC News, Nov. 29, 2013. A great list. He really hits the target and it shows a lot of his personality as well. By the way, who is the conductor in this photo? Obviously it’s not EPS. Looks like a young Klemperer but I can’t tell. I forget the name, no one famous (at least not to me). 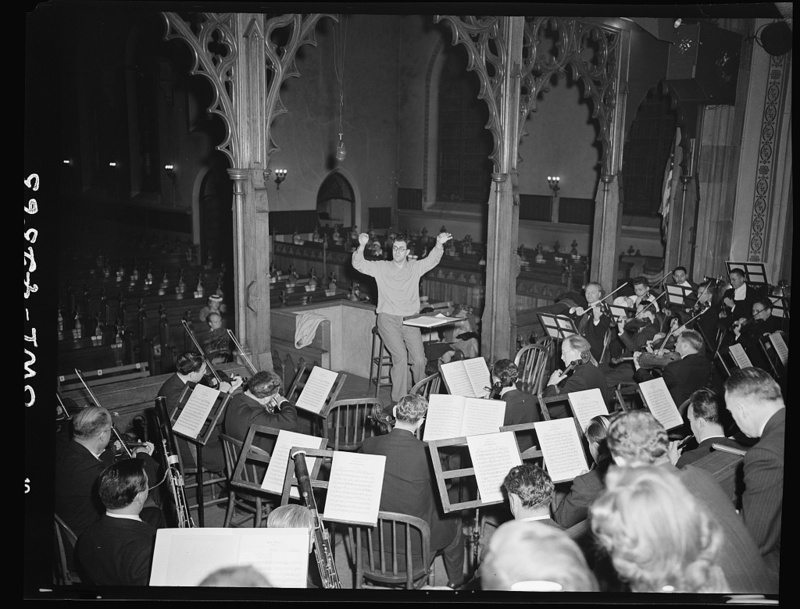 He’s conducting the Bach orchestra in Bethlehem, Penn. The Bach Orchestra of Bethlehem, PA? Who knew such a thing existed? Looked like a European setting to me. Plus a bit big for a Bach orchestra, unless they’re doing a Stoki transcription. The Bach Choir of Bethlehem has a famous Bach festival every year. This year will be its 107th. The orchestra in the photo plays along with that choir. It’s big, yes, but it’s an old photo.